These 10 quick, easy and delicious Sunday dinner ideas will help you get a great meal on the table fast. Try one this week after church! I love cooking, and of all the meals I make on a weekly basis, Sunday dinners after church have always been my very favorite. There’s nothing like coming home from church to a hearty, wholesome home-cooked meal with family and friends before spending the afternoon relaxing and recharging for the week. I don’t know about you, but growing up, we rarely had time for much breakfast on Sunday mornings and, after we were at church all morning long, we’d come home hungry and ready to eat lunch! We didn’t want a measly sandwich and we weren’t going to wait for something that takes three hours to make either. Enter: the perfect Sunday dinner. Each of these Sunday dinner ideas is hearty, wholesome, home-cooked and downright delicious! I have made every single one of these Sunday dinner recipes (some of them time and time again!) and can whole-heartedly say they are all fantastic. 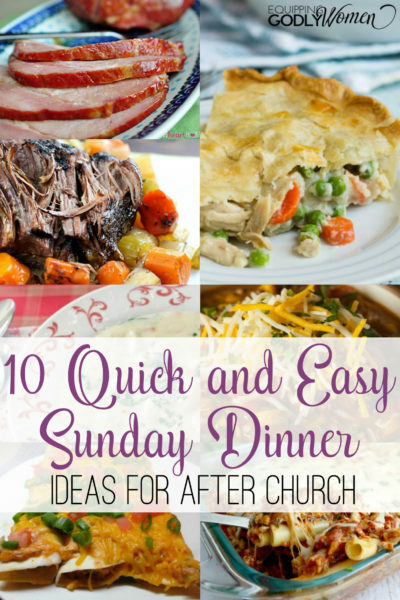 If you’re looking for some quick, easy and delicious Sunday dinner ideas for after church – you’re in the right place. 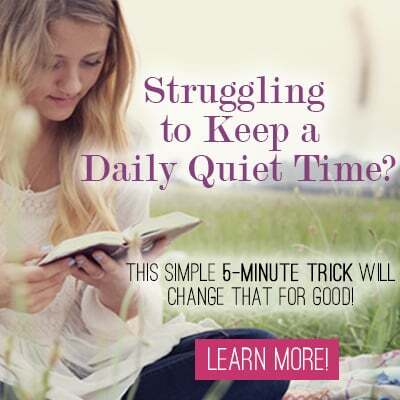 Want to enjoy Sunday dinner as a family but feel like you’re too busy to plan in advance? If so, go check out 5 Dollar Meal Plans! They take ALL the stress out of coming up with meal plans by doing your meal planning FOR you, and they help you make meals that are both healthy and affordable! 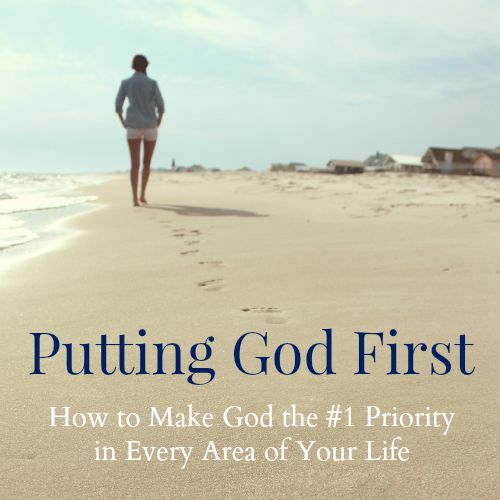 Plus — you can get two weeks completely FREE when you use this link! *This post contains affiliate links, which means if you make a purchase, I may make a small commission at no additional cost to you. This helps cover the many costs of running this site and allows me to help provide for my growing family. Thank you! 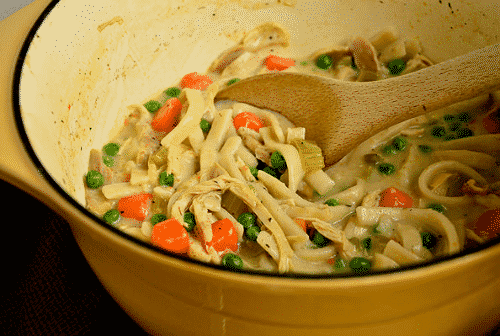 For a perfect Sunday dinner recipe, it does not get any better than these Homestyle Chicken and Noodles. They are SO good! 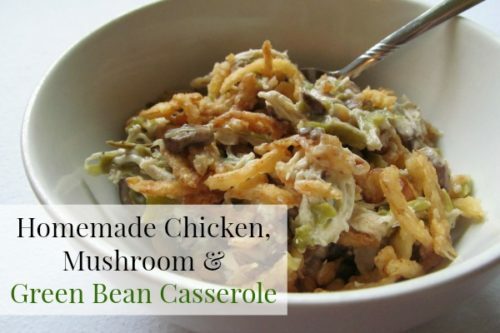 Adapt it for the crock pot by using boneless chicken and waiting to add cooked noodles and peas until you’re home from church. 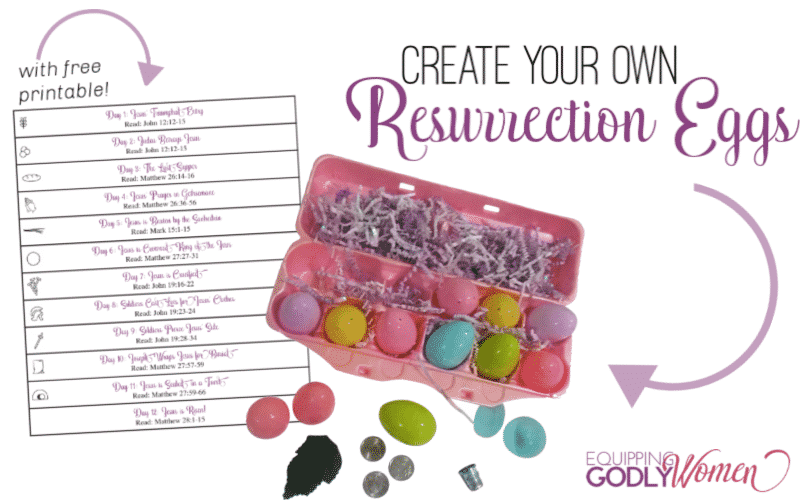 Make plenty, because you WILL be going back for more! This Sunday dinner recipe is a favorite of my husband’s and we make it all the time. I love how easy it is to add in extra veggies, whether that’s onion, extra zucchini, corn, tomatoes, mushrooms… whatever you have on hand. 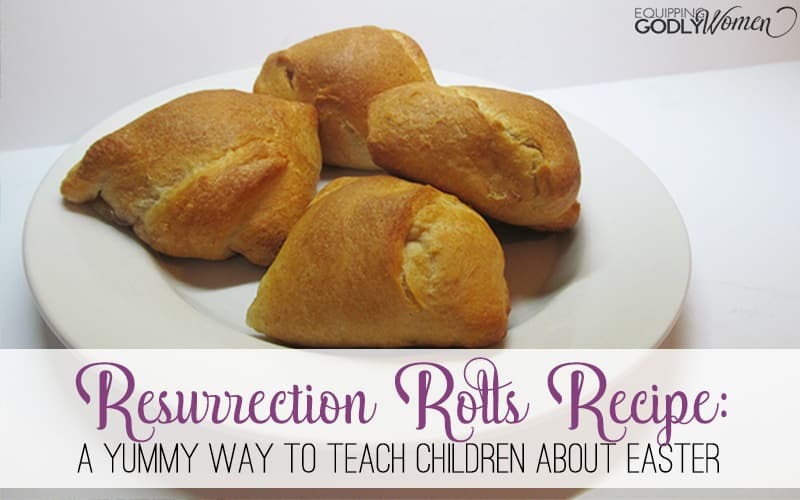 My kids aren’t picky, but I’m willing to bet even picky eaters would love this dish. 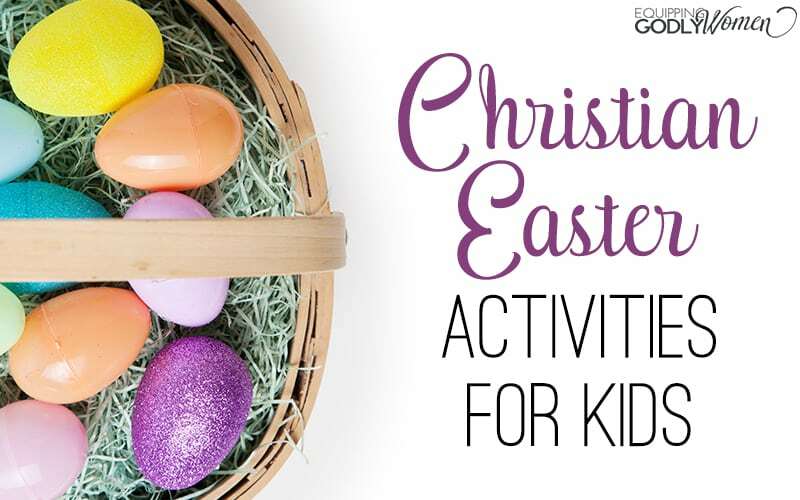 Get the casserole ready in advance, and then just toss it in the oven as soon as you get home from church. It only takes 20 minutes to cook and 5 minutes to stand, so it’ll be all ready to go by the time you get changed, washed up, and seated at the table. Yum! If there’s one dish my family can’t get enough of, it’s chicken pot pie. If my husband isn’t home yet by the time it comes out of the oven, I seriously have to make sure to set some aside for him because otherwise the boys will eat the whole thing and he won’t get any at all! And I don’t have teenagers either–they’re 5 and 1. It’s just that good. 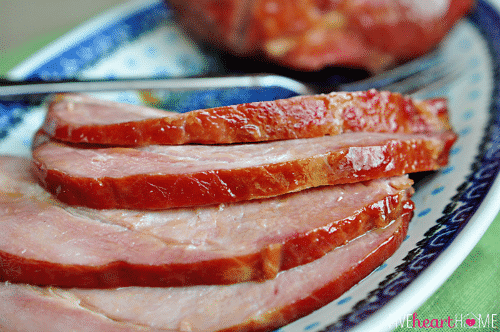 I made this Brown Sugar Ham recipe when I hosted Christmas dinner last year (you know, the meal that HAS to be just right?) and it did NOT disappoint! Totally doable to put together even though we spent the morning at church. Everyone loved it, and we all enjoyed leftovers for lunch for days. 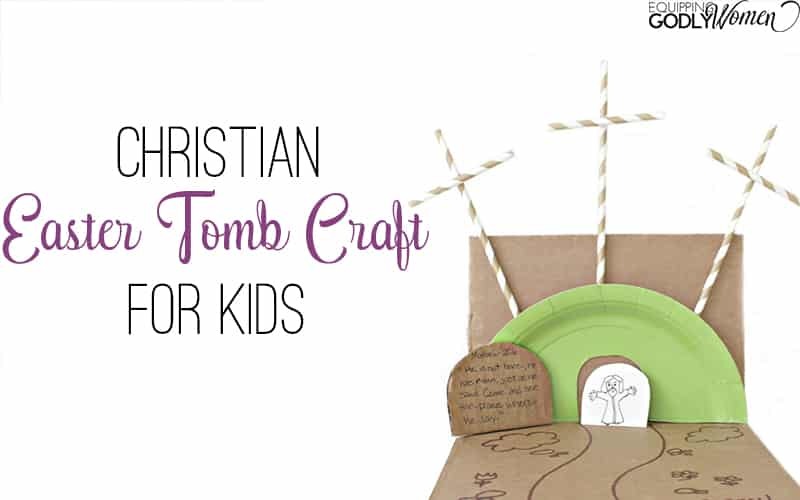 It would be absolutely perfect for Easter dinner too. Looking inexpensive and healthy meal ideas? Check out 5 Dollar Meal Plans – and never have to wonder “What’s for dinner?” again! If you’re looking for easy Sunday dinner ideas–this is it. It’s mostly canned stuff you throw together, but it tastes homemade and amazing. Very hearty and filling. And definitely go the tortilla chip route like she suggests–yum! And again — leftovers. It’s alllll about the leftovers. 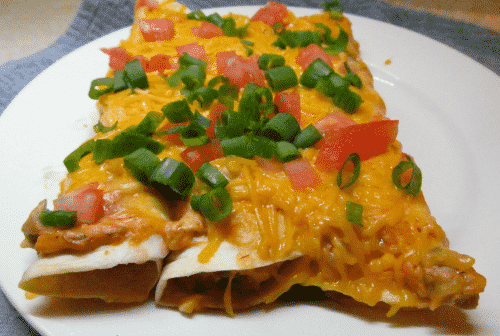 So enchiladas may not fit in with all the typical Sunday dinner ideas, but this recipe is absolutely creamy, easy and delicious enough to qualify – especially if you’re looking for something a little different than the usual fare. I make this recipe all the time and have for years. They’re great reheated too, so you can have them for lunch all week long. Tip: Cooking the chicken in the crock pot for 2-3 hours on high makes it super easy to shred, and if you prep everything in the morning before church and you just have to toss it in the oven when you get home. 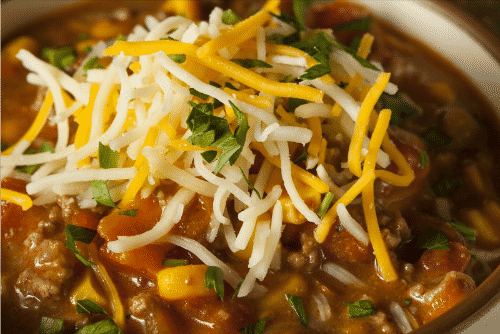 This is a favorite recipe we eat in our family ALL the time. I love how easy it is to just toss the ingredients in and stir. Start the chicken in the morning while you’re getting ready for church, then drain and add the remaining ingredients as soon as you get home. By the time you get all settled in and ready to eat, your lunch will be all ready! And it makes fantastic leftovers too, so not only does it save you a lot of time on Sunday afternoons, but all week long. Want more meal ideas like this? 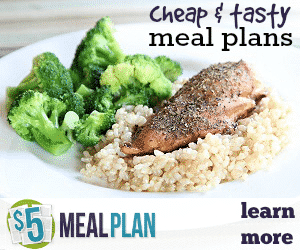 Check out 5 Dollar Meal Plans – the perfect solution for busy moms who need healthy and inexpensive meal ideas fast! A few years ago, when I worked at Olive Garden, I used to bring my husband leftover Zuppa soup all the time. When I stopped working there, I had to figure out how to make it at home. This Sunday dinner recipe is creamy and satisfying, and I love that it has kale instead of the same ol’ same ol’ veggies we usually eat. Plus, any leftovers are great for lunch the next day! 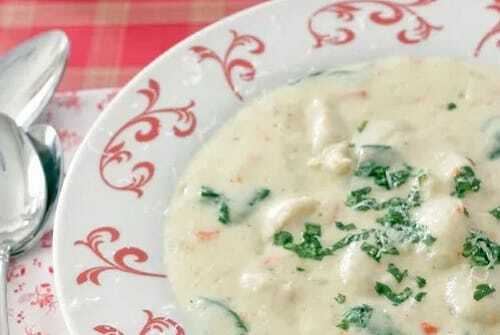 Another Olive Garden soup I absolutely love and simply had to learn how to make at home. This Sunday dinner recipe is every bit as delicious as the original, and probably much more healthy too. Of course, despite the generous veggie content, this soup doesn’t feel too “healthy” at all. 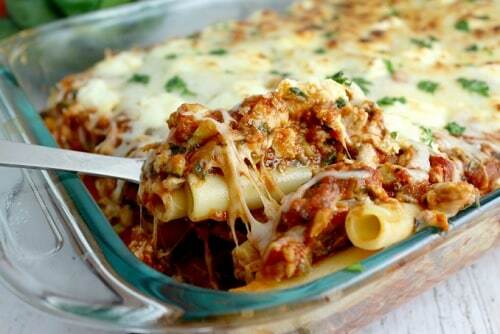 It’s comfort food at it’s finest and it is SOO good! Make sure you have plenty of breadsticks on hand with this one — they’re perfect for dipping. Yum!! As far as I’m concerned, roast is the classic Sunday dinner! I remember my mom making roast, potatoes, and veggies pretty regularly, but it seemed to take a lot of tending to. 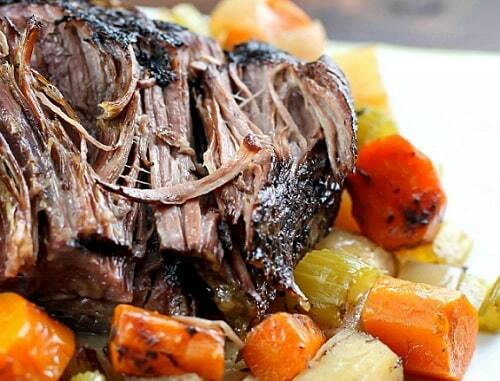 Thankfully, this dinner recipe makes cooking roast easy and delicious. And the leftovers are great to enjoy throughout the week too. Don’t forget: If you want to enjoy Sunday dinner as a family but hate coming up with meal plans, 5 Dollar Meal Plans can help! 5 Dollar Meal Plans will write out your meal plans FOR you and send them to you every week, saving you the time and effort, and helping ensure that you actually HAVE a meal plan! Head on over to 5 Dollar Meal Plans and get two weeks free just for trying them through this link. Well, I wouldn’t want to recommend something that was a total flop (and it made my meal planning that much easier too 🙂 ). But seriously, many of these are recipes I make time and time again! I usually plan on casserole or soup leftovers or throw together a quick skillet meal for Sunday lunch. 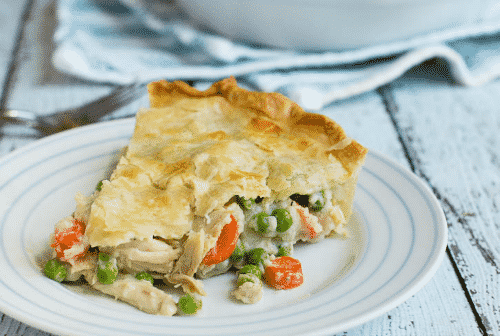 We love Chicken Pot Pie too (just made some last week!). 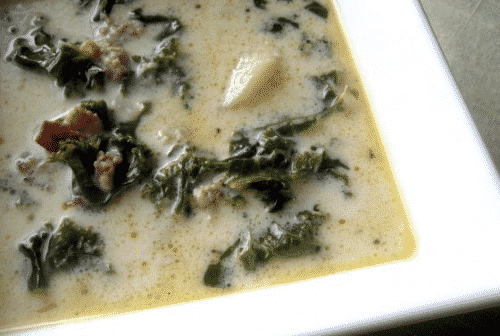 The Zuppa Toscano recipe looks like the one I will try from this list. I LOVE doing casseroles. Not only are they serious comfort food, but I love that you can prep them ahead of time. You’re welcome! and you definitely should! I’ve made them all and they are GOOD! My kids are a bit too young to appreciate soup and my hubby doesn’t care for veggies. But I LOVE Minestrone! How young are they? The younger the better! I’ve fed soup and veggies to my boys since they learned how to eat and I think that’s a big reason why they are great eaters–they are used to it. Brittany! Thanks so much for getting together this collection! I’m all for easy, hearty, and delicious. I looked at a few of these, and they look like keeper recipes. I pinned this to be able to find later for sure! Hope you’re having a good week! Thank you so much for this list! I love to cook, but for some reason Sunday dinner just doesn’t happen for me. You have inspired me to kick it in gear and make one of these delicious recipes! Pinning for future reference. Oooh, if you’re going to cook anything all week–make it Sunday dinner! It’s my favorite meal of the week! Thanks for the great ideas! I’m always looking for fresh ideas to add to my meal plan and these look delicious! Saw your post on thrifty Thursday linkup! I know the feeling. I’m always looking for new recipes too! These are some of the ones I make time and time again though–so good!